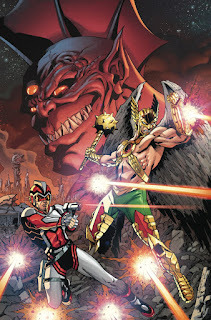 Being Carter Hall: Hawkman Returns In New Miniseries! Very excited about this! Lopresti has become one of my favorite artists so I 'bout fell out of my chair when I saw the news! As long as they kill Hawkman off in the first episode ala Legends of Tomorrow, we finally have something to look forward to!